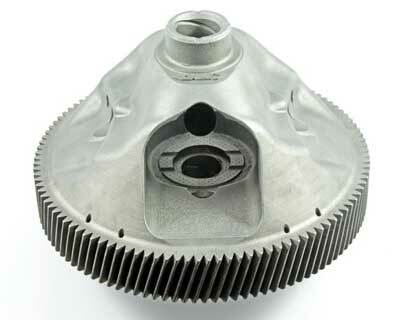 (Nanowerk News) On March 27, 2019, the joint project IDAM held its kick-off meeting in Munich, which was intended to pave the way for Additive Manufacturing to enter automotive series production. Specifically, the project partners – consisting of SMEs, large companies and research institutions – will transfer metallic 3D printing into an industrialized and highly automated series process in the automotive industry for the first time. The Fraunhofer Institute for Laser Technology ILT in Aachen and the Chair for Digital Additive Production DAP of RWTH Aachen University are supporting the project through their many years of experience in the field of additive manufacturing technologies. The goal of IDAM is to promote the “Industrialization and Digitization of Additive Manufacturing (AM) for Automotive Series Processes”. In this project, twelve project partners are laying an important cornerstone to sustainably strengthen Germany's technological pioneering role and the country itself as a manufacturing location. By integrating metallic 3D printing into the conventional production lines of the automotive industry, IDAM will enable them to replace cost and time consuming processes, such as the production of molds, and to meet the desire for product customization at no extra cost. Metallic 3D printing is being implemented at two locations: the BMW Group's Additive Manufacturing Center in Munich and automotive supplier GKN Powder Metallurgy’s factory of in Bonn. There, the IDAM team is qualifying the AM technology for the specific requirements to produce identical parts as well as individual and spare parts on the basis of specific components. The targeted quantities speak for the signal character of the joint project: In the future, it should be possible to produce at least 50,000 components per year in mass production and over 10,000 individual and spare parts – at the highest quality and under extreme cost pressure – with the AM production lines. Two modular and almost completely automated AM production lines are being set up in Bonn and Munich. They cover the entire process, from digital to physical component manufacturing all the way to post-processing. Individual modules can be adapted to the different production requirements thanks to the modular construction of the line and, if necessary, replaced. In addition, their process steps can be controlled and utilized flexibly. By taking an integrated view of the automotive production line into account, the project partners plan on reducing the manual share of activities along the process chain from currently around 35 percent to less than 5 percent. In addition, the unit costs of 3D-printed metal components should be more than halved. The expertise of the SMEs within the project consortium comes to the forefront in designing, providing and connecting the modules for the AM production line. Among other things, they take over the automation of the interfaces between the individual process steps or, as part of the project, develop a series-ready and modular production facility for metallic 3D printing. The other modular process components, such as powder handling, monitoring and automated post-processing, are also being developed by the SMEs. The research institutions are assuming tasks for process control, the digital twin and the preventive increase in quality, among others. Since large industrial companies are involved, these linked modules can be used in the AM production lines under real conditions and on a large scale. In addition, industrial standards can be set and industry-relevant quality characteristics elaborated. Only through this interdisciplinary cooperation does the IDAM project make it possible to holistically examine metallic 3D printing for automotive series processes and to establish it sustainably in production.